Tickets are a great Christmas gift. Join The Nields plus Ben Demerath as they celebrate their long-awaited Christmas record. These friends have been singing carols together for decades, honing their arrangements at their annual local shows. If you love traditional and folk Christmas carols, this is the show for you! 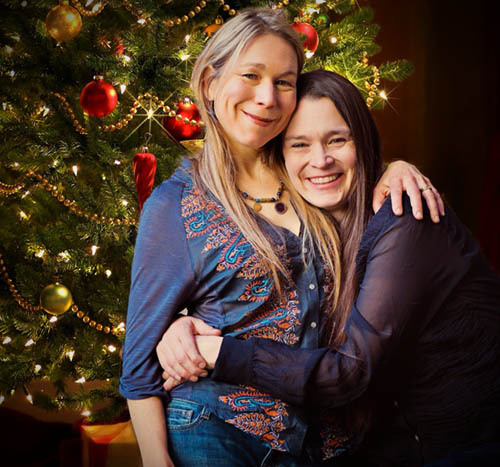 The Nields will also perform their original Christmas songs, "Merry Christmas, Mr. Jones," "A Christmas Carol" and "Jesus Was a Refugee." The second set will be a sing-along where you can join in singing your favorite carols and get in the holiday spirit. The Circle of Friends Coffeehouse is a non-profit organization affiliated with Franklin's First Universalist Society. Concerts are presented in a smoke free and alcohol free environment at the Society's handicapped accessible Meetinghouse, 262 Chestnut St. in Franklin, and begin at 8:00 PM; doors open at 7:30 PM. Beverages and gourmet desserts will be available. Please call (508)528-2541 or visit http://www.circlefolk.org/ to purchase tickets or for more information.